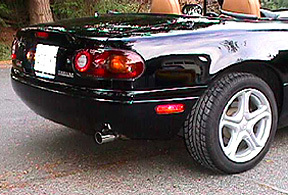 Simpson Design short rear bumper GB - Miata Turbo Forum - Boost cars, acquire cats. I've been wanting to replace my rear bumper, as I now have a center exit exhaust, and have been considering the Simpson Design shorty bumper. I contacted Jim Simpson at SD and he said that if we have 4 people we can get the rear bumper for $340 shipped (in cont. US). The current "shipped" price is $390, so this is a pretty decent deal. If you are interested, please send me a PM. The bumper comes gel-coated and will need to be painted. 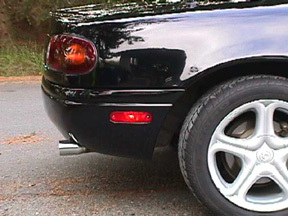 There are no cutouts on the bumper, so it can be adapted to fit with your exhaust setup (left-side, right-side, or center exhaust). Any better pics of this thing? Those pics are too low quality and have limited "perspective". I'll ask if Jim can send me some higher res pics. I've seen one in person before and it really rounds out the back of the car. I'll post as soon as I have something. 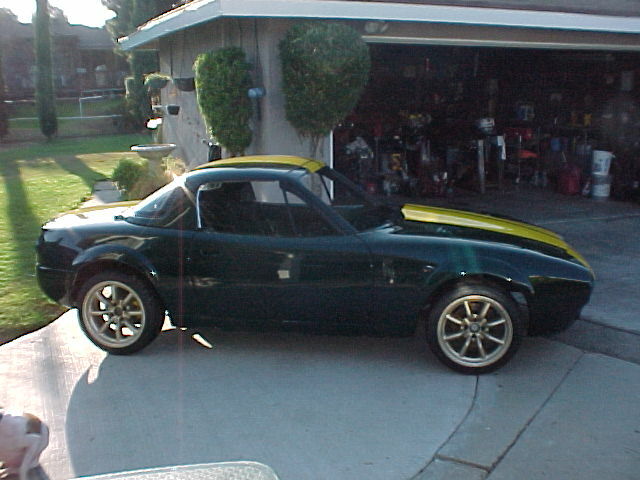 Check the SCC miata project car. Pictures on clubroadster also... it has a CF copy of the bumper on it. 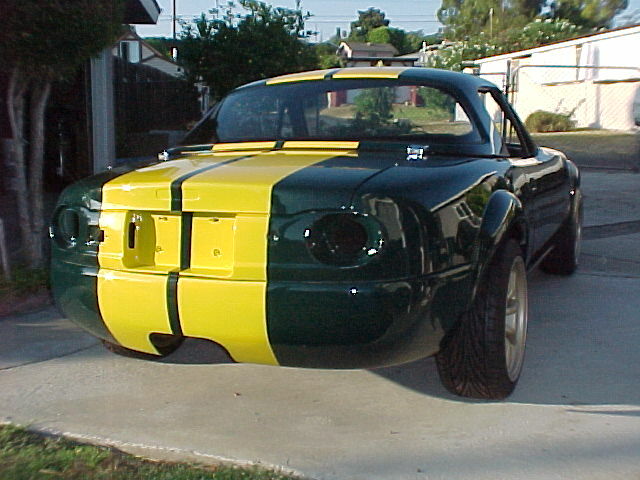 yea i like the rear bumper but love trunk lid and mirrors. I've always wanted one of these bumpers but haven't considered it more cause I can't find any good pictures. So....more pics then maybe for me. I got an email from Jim this afternoon. He said that unfortunately he didn't have any better pics (other than the website). The pics of the SCC car pretty much show how it's going to look. 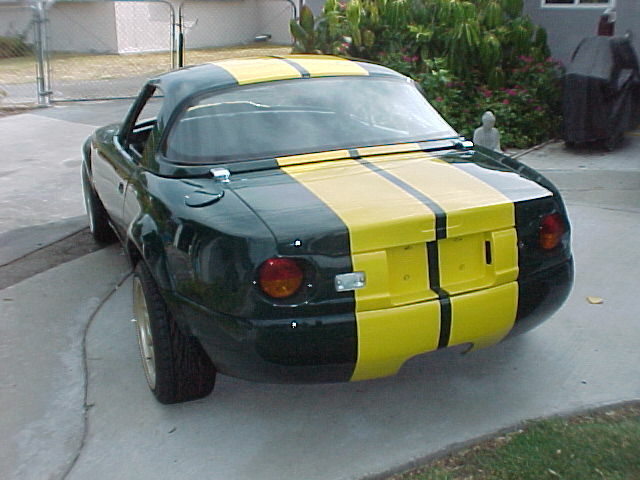 David Woolery has this bumper on his miata, although he has removed the belt line and cut out the center section. I'm sorry I have a really slow connection here at work and that thread is taking forever to load. Any links to the pics? The server also blocks pictures hosted at cardomain. I guess I coudl wait until I get home like normal people. 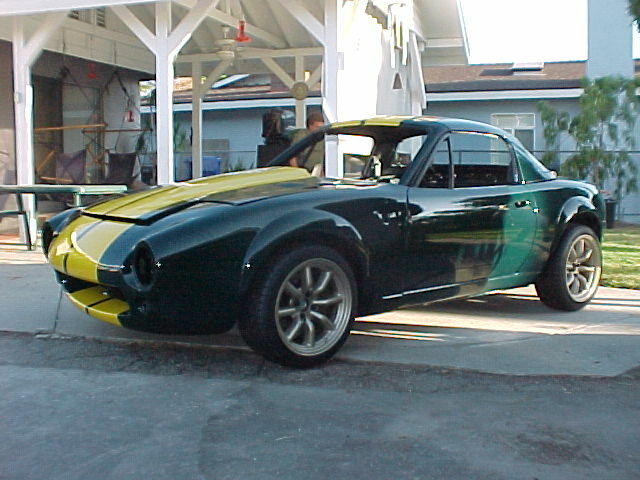 thats a sick lookin miata! Thanks. I gotta talk to the wife. Cool Tim. Let me know. TwoScoops, I don't know the name of the fender flares, but he bought them (I'll ask him which ones he used). He did have them molded into the body, which is why they look like one piece. David has some serious work into this car. Sounds good. Sorry I didn't see this until today. I have a couple of other guys interested (two for sure). Los Angles is no problem. The price will be $340 shipped. I'll let you know when I get the last person (should be within the next couple of weeks). ****. i should jump on this and would if i knew i could get it painted cheap locally.